Key Features • Fire Resistant – Tested in accordance to the Japanese Industrial Standard JIS S1037-1989 for a 90 minutes fire rating. 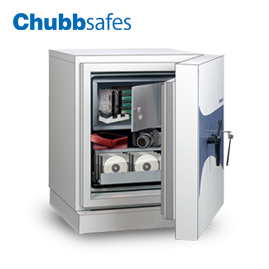 • Fitting – The safe comes with a standard internal steel shelf, adjustable at intervals to suit individual customer requirments. 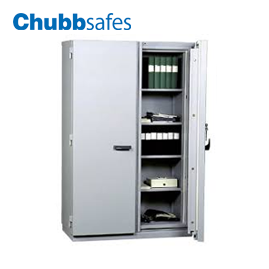 Internal drawers are also made of steel and are individually secured by a key lock with keys in duplicate. also a top class appearance. • Key Lock – Secured by one 11 lever double bitted non key retaining key lock with detachable key bit. • Body – the 100mm thick monolithic barrier construction consists of a fibre high strength steel reinforced Miltonex N400 concrete formula, which incorporates an abrasive and drill resistant aggregate. The barrier construction also reinforced with expanded metal. This is encapsulated between inner and outer steel plates. The composite construction ensures high levels of resistance to all types of mechanical and thermal tools, both against direct penetration and delamination type attacks. • Door – The door which has an overall thickness of 210mm is protected by a keyless combination and a key lock. 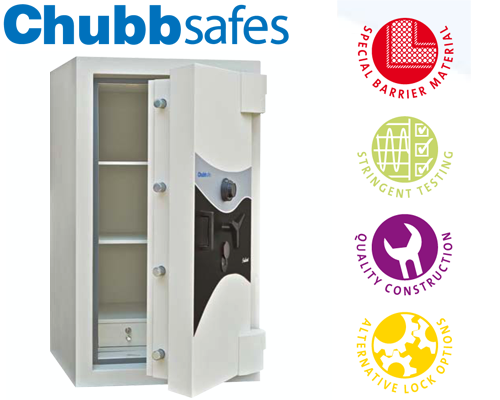 Each lock is protected by advanced drill resistant plates. 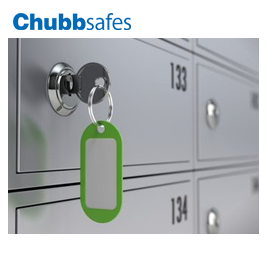 Further protection is ensured by an anti drive feature and a secondary relocking system, which is automatically activated in the event of an attack on the primary locks. The rear of the door is retained by a full length docking feature. This, together with a 3 way multiple moving bolt engagement system, incorporating substantial 32mm DIA engagement bolts, guarantees retention of the door to the body closure, even in the most severe of forcing attacks. 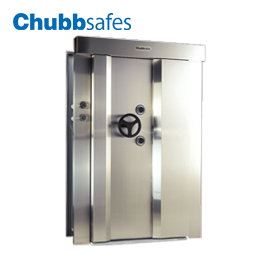 • Locking – Fitted with a 3-wheel Keyless Combination Lock protected by a Glass Relocker and11-lever Key Lock protected by a drill resistant manganese steel plate. Both locks operate independently of each other. The Relocker is further protected by a plate embedded with Tungsten Carbide pin. This further strengthens the drill resisting qualities of the relocker.